Please join us for a rare showing of 'A Hillside Firm' this weekend at the 20th Century Cincinnati prior to the show opening Sunday morning. 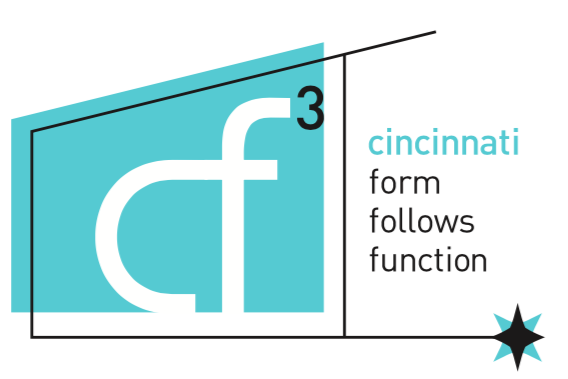 cf3 is pleased to sponsor the showing of the film in conjunction with special permission from the film creator, Lisa Murtha, and generous assistance from the Sharonville Convention Center and 20th Century Cincinnati. A Hillside Firm explores 35 years of work of the practice of Carl Strauss and Ray Roush, often credited with bringing modernism to Cincinnati. They designed more than 100 structures in Cincinnati and mentored many Architects that went on to have to become iconic designers. The film explores a variety of their works and includes interviews with Michael Graves, David Niland, Jayne Merkel, and many others. Having only aired twice since being released, don't miss this unique opportunity to see the film and discuss it's impact with the film creator. The 30 minute film will start at 10:15am in the lobby inside Entrance A of the convention center near the registration desk. Q&A with Lisa Murtha will follow the airing. They designed more than 100 structures in Cincinnati. They created some of the most unique buildings in the Midwest. They mentored men who changed the face of architecture throughout the world. They are Carl Strauss and Ray Roush. 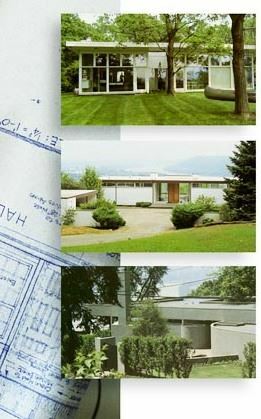 And they brought modernism to the Queen City. Explore 35 years of their work in A Hillside Firm, a half-hour-long documentary film that will air on Cincinnati’s Public Television Station, CET, on Monday, November 20th at 10:30 p.m. and Wednesday, November 22nd at 7:30 p.m. The film includes high definition footage of nearly twenty Strauss & Roush homes in the greater Cincinnati area, shot by Director of Photography John Erhardt. It also includes many of still photographer Corson Hirschfeld’s images from both private collections and the 1984 Contemporary Arts Center exhibit In Its Place: The Architecture of Carl Strauss & Ray Roush. Interviewees include renowned architect Michael Graves, Architectural Historian and author Jayne Merkel (In Its Place), Closson’s Director of Interior Design John Harrison, University of Cincinnati Professor Emeritus David Niland, University of Cincinnati Assistant Professor Alex Christoforidis, Carl A. Strauss, Jr., Matthew Strauss and Elizabeth Stone. A Hillside Firm was written and produced by Lisa Murtha, a twelve-year veteran of the local writing and production market, with credits on The Do-It-Yourself Network and WCPO’s Around the House, as well as numerous published articles in Cincinnati Magazine. Edited by Brandon Kraemer and scored by concert pianist Alexander Schwarzkopf, this film is a stunning compilation of beautiful images, insightful interviews and exceptional music. A Hillside Firm will take you to places and in to spaces where you have never been before. This film will introduce you to some of the most architecturally significant structures in the city of Cincinnati, all built by Carl Strauss & Ray Roush. In just 30 minutes, this film will change the way you look at modern architecture.